A lovely friendship picture describing and defining true friendship. In a true or ideal friendship, there is only one soul mingled as one. 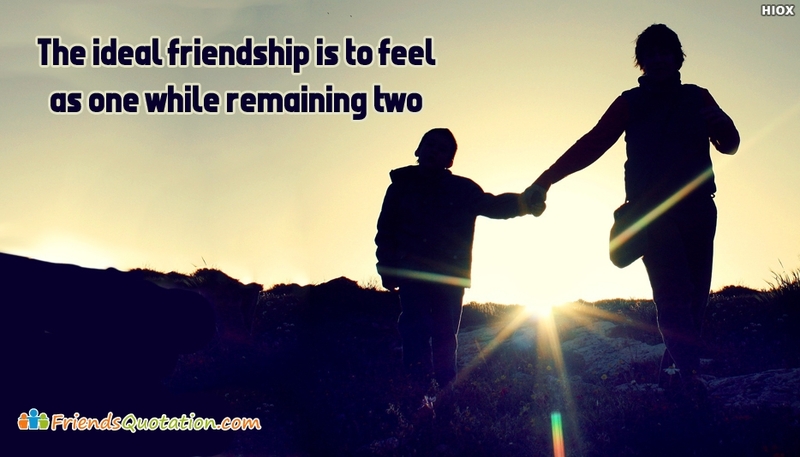 This feeling of friendship is ideally portrayed in this friendship quotation picture as "The Ideal Friendship is To Feel As One While Remaining Two".